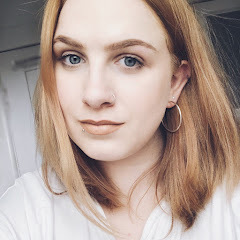 A few weeks ago now I searched online for contours for pale skin as most contour powders can come off orange on me and/or are just too dark and if you are pale like me, then taupe shades are more suitable. I came across a few people mentioning the Mac Harmony Blush, which is a matte finish, so I had to go and look at it myself in the Mac shop. I went in and swatched it on my hand to begin with and then after reading some more reviews I decided to go ahead and buy it. I know in the picture above it looks orangey but its more of a taupe brown shade but if you're not sure always check it out before buying. That's what it looks like on the cheek after its been blended a little bit. I really like this product for contouring and am glad I came across it. Whats your favourite contouring product? © Priscilla Elizabeth | All rights reserved.